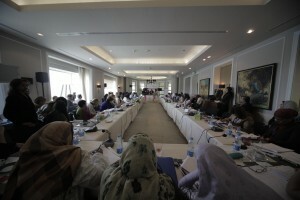 CAIRO, May 18, 2011 (IPS) – Women have been taking leading roles in the Arab uprisings of Egypt, Tunisia, Yemen, Libya, Morocco and Bahrain – shattering many decades old Western myths that Arab women are powerless and enslaved. According to Outaleb, women – whether as mothers, housewives, veiled or not, from Islamist parties or with no political upbringing – have always played a pivotal role in the Arab world. “The Western media is shaped according to certain agendas, to certain priorities they have in mind, and policies regarding Arab women. They have ignored the reality that Arab women have always been at the heart of revolutions in the region – whether leading, strategising, raising awareness or mobilising as bloggers, or on Facebook,” Outaleb said.